Companies are highly dependent on IT in delivering mission-critical services. With this, it has become a standard for colocation providers to design their data centers with high availability and efficiency in mind to ensure that their customers’ businesses are at their optimal state. ePLDT, Inc., with its ongoing efforts to push for business resilience through its network of data centers, recently announced that its two flagship VITRO Data Centers in Makati City and Clark, Pampanga are the first and only in the country to receive the ANSI/TIA-942 Rated 3 Design Certificate. The standard is based on all physical infrastructure like site location, fire safety, architectural, electrical, mechanical, security, telecommunication and other critical data center requirements. The guidelines set by ANSI/TIA-942 emphasized the redundancy design of the data centers to ensure the highest availability during unplanned maintenance and infrastructure expansion. 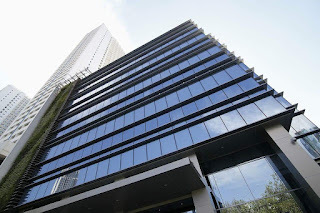 This means that ePLDT’s data centers in Makati and Clark have a concurrently maintainable site infrastructure where each of its components—including all the circuit breakers, panel boards and power strips—can be removed, replaced or serviced without affecting the operations of colocation customers. VITRO Makati is the largest data center facility in the country with a maximum capacity of 3,584 racks. Purposely built and compliant with international standards for data centers, ePLDT’s data center facility in Makati sits on a nearly two-hectare property, equipped with systems and facilities including a world-class 24/7 technical support capabilities. It was the first data center to be awarded with the ANSI/TIA-942 Rated 3 Design Certificate. Meanwhile, ePLDT’s VITRO Clark is the largest data center facility outside Metro Manila with a rack capacity of 1,515. 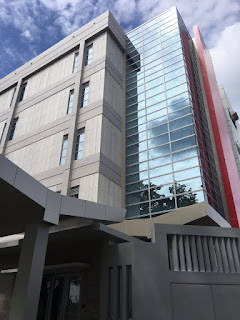 With its robustness and sophistication, this facility is ready to support the primary colocation requirements of enterprises in Northern Luzon, and an ideal back-up site for organizations based in Manila. VITRO Clark and Makati are both designed with a minimum of 11 security layers, which guarantee utmost protection from the point of entry to your colocated IT equipment. All in all, ePLDT’s network of data centers deliver 99.99 percent availability with a maximum outage of 52 minutes per year. To date, there are nine fully operational VITRO data centers in the Philippines with a total rack capacity of about 7,000—the largest in the country. The company will soon launch its 10th data center in Cebu, which is the second in the region. Furthermore, VITRO Data Centers are operated and maintained by professionals who are guided by ISO standards such as Quality Management System (ISO 9001:2008), Business Continuity Management System (ISO 22301:2013), Information Security Management System (27001:2013), IT Services Management System (20000-1:2011), and Environmental Management System (14001:2004). VITRO Makati and Clark—together with ePLDT’s data center in Paranaque—are recognized by NTT Communications as Nexcenter-compliant for adopting its data center design practices and management experience. This allows clients to experience the same international standards applied on all 140 Nexcenter facilities in 84 cities of 19 countries. ePLDT, Inc. is the industry-leading enabler of digital business solutions in the Philippines. Learn more about the company by visiting the website at www.epldt.com.